Infrequent visits can reveal subtle changes in older adults. How can family members or friends tell if it’s something to be worried about? And is it time for a move? A holiday visit often gives you a chance to spend time with loved ones you haven’t seen in awhile. These happy occasions can provoke worry if family members notice changes that weren’t there the last time they visited. How does someone tell if it’s normal aging, or the beginning of dementia or even Alzheimer’s? Is it time to contact a care professional? Many of the early signs of dementia and Alzheimer’s overlap. 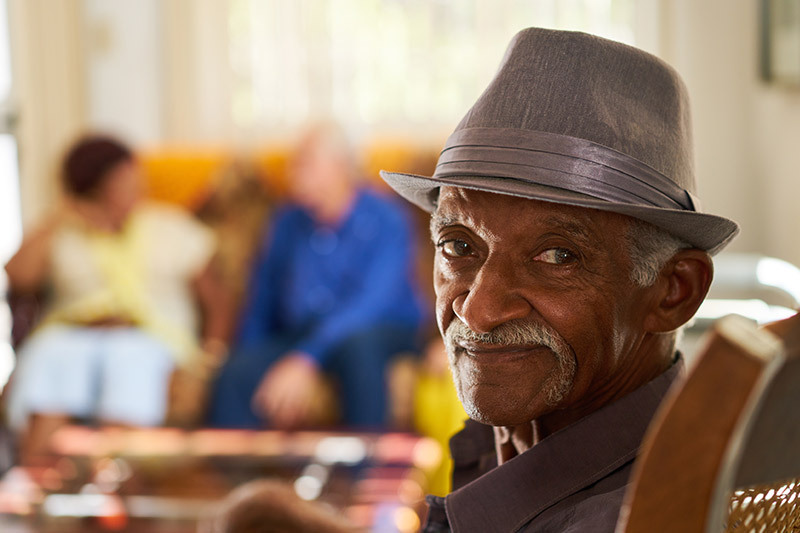 We’ve provided a list of each, with behaviors that are typical in older adults, countered with behaviors that might be found in someone beginning to show signs of disease. Reduced ability to concentrate. Anyone can struggle with managing finances. Someone with dementia might not understand what numbers mean or how to use them. Personality or behavior changes. Anyone can get tired of an activity. Someone with dementia totally loses interest in activities they used to enjoy, or needs prompting to get involved. Loss of ability to do everyday tasks. Anyone can get distracted and burn a meal. Someone with dementia has trouble remembering all the steps involved in preparing a meal. Increased confusion and disorientation. Anyone can get lost. Someone with dementia may have difficulty finding their way on a familiar route or be confused about where they are. Difficulty remembering recent events. Anyone might forget an appointment. Someone with dementia forgets them more often or never remembers making them at all. Depression or apathy. Anyone can be down or depressed. Someone with dementia may become confused, suspicious, or apathetic, or have wild mood swings. Loss of language ability. Anyone might forget a word occasionally. Someone with dementia may forget simple words and substitute inappropriate ones, making the person hard to understand. Poor judgement. Anyone can miscalculate the weather. Someone with dementia can see snow outside without thinking a jacket is needed to go for a walk. Misplacing objects. Anyone can misplace the car keys. Someone with dementia might forget what the keys are for. Be aware that many conditions, some of them temporary, can mimic dementia. Don’t think your loved one has dementia when the warning signs may be due to a stroke, depression, infection, nutritional deficiency, hormonal disorder, long-term alcohol overuse or even a brain tumor. Many of these conditions are treatable. Only a doctor can diagnose dementia. An early diagnosis is critical for treatment, support and making plans. No one wants to discover that a loved one has Alzheimer’s, a brain disease that slowly degrades memory, thought and reason. But early diagnosis is crucial for treating the disease to get some relief from symptoms and maintain a longer period of independence. Read on for a list of 10 warning signs and symptoms, adapted from the Alzheimer’s Association’s version. A person may experience these signs at varying levels. If you notice any of the signs in a loved one, have them see a doctor for further evaluation. Physical abuse. Look for burns, abrasions, pressure marks and bruises. Does your loved one have a history of sprains, dislocations or even broken bones? Sudden hair or tooth loss can also indicate abuse. Beware of odd explanations such as “She ran into a wall.” Does a caregiver or family member hover, not allowing you to visit alone? Is your loved one taken to many different medical facilities for treatment? All are red flags. Neglect. If an older adult needs help due to cognitive or physical impairments, check for dirty clothes, soiled diapers, bedsores and unusual weight loss. Is their living environment neat and clean, or has it deteriorated? Are medical aids such as hearing aids, canes and glasses clean and available, or nowhere to be found? The neglect may be intentional, or it could be passive as the result of an untrained or overly burdened caretaker. Verbal or emotional abuse. Does your loved one seem withdrawn, or exhibit odd behavior like biting or rocking? Are there signs of fear, stress or tension around the caretaker? Does the caretaker snap or yell at the older adult? Is there forced isolation of the older adult by a member of the family or a caretaker? Emotional abuse can be tricky to spot, because it ranges from an insult to an outright verbal attack, and the older adult is often unable to fight back or even recognize the problem. A caregiver may say, “I can’t wait until you die so I get my life back!” or curse. The abuser may also isolate the older adult so no one knows what is happening. Sexual abuse. Age is no armor against a sexual predator, who may see an older adult as easy prey. Look for bruises around breasts or in the genital area, venereal disease, and vaginal or rectal bleeding. Your loved one may have difficulty walking or standing, and exhibit depression or withdrawal. Be suspicious if the caregiver acts flirty or seems to touch the older adult excessively or intimately when it is not warranted. Financial abuse. Are there unpaid bills piling up? Has money “disappeared”? Does a caregiver suddenly have an unexplained purchase that seems beyond their means, such as a new car, cell phone or clothing? Does a caregiver take money to make a purchase that never arrives? Has someone new been added to bank accounts or credit cards? Is credit card use increasing? Are cash withdrawals becoming more frequent? 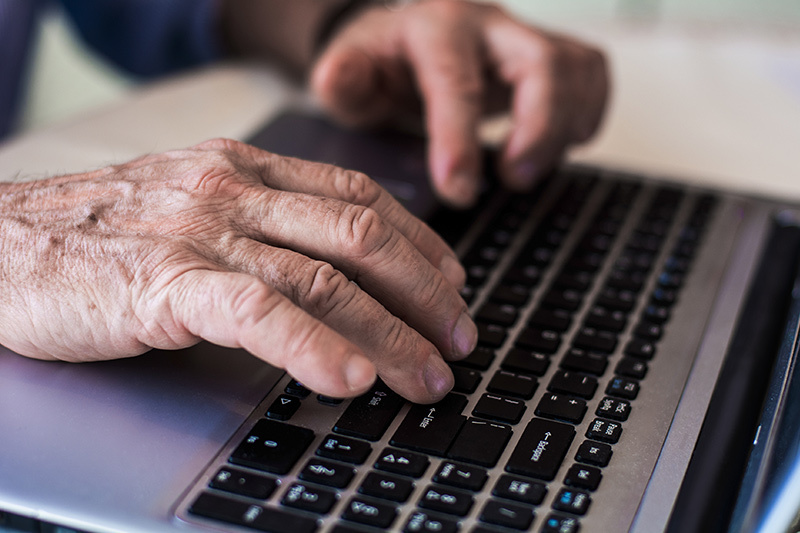 Family members and caregivers have the greatest access to older adults’ accounts, and are often in the position of greatest trust to steal from seniors. If you suspect severe elder abuse, call 911 to report immediate, life-threatening danger. Otherwise, report the abuse to a local adult protective services agency, the police or a long-term care ombudsman. Find a local resource at the National Center on Elder Abuse. Memory loss that disrupts daily life. Anyone forgets names or appointments, but remembers them later. Someone with Alzheimer’s forgets important dates or events, asks for the same information again and again, and has difficulty remembering recently learned information. Difficulty solving problems or planning. Anyone makes an error now and then balancing a checkbook. Someone with Alzheimer’s has trouble following a familiar recipe or paying bills. Confusion of time or place. Anyone might forget what day of the week it is, but be able to figure it out later. People with Alzheimer’s can lose track of seasons or the passing of time, where they are or how they arrived. Difficulty with spatial cues and visual images. Anyone might have reduced vision due to cataracts or macular degeneration. Someone with Alzheimer’s has vision problems leading to issues reading, judging distance and seeing color contrast, which might lead to difficulty driving. Problems with written or spoken words. Anyone can struggle to find the right word now and then. Someone with Alzheimer’s struggles with vocabulary, and has trouble following or joining a conversation, repeating what was just said or failing to continue the thread. Misplacing objects. Anyone can forget where they put something and have to retrace steps to find it. People with Alzheimer’s put things in unusual places, like leaving car keys in the freezer. They may be unable to retrace their steps to relocate an object, or accuse others of stealing it. This behavior typically accelerates over time. Poor judgment. Anyone can make a crummy decision once in a while. People with Alzheimer’s may use poor judgment with money, giving large sums to people they meet over the phone. They may quit taking care of their appearance and cleanliness. Withdrawing from work or social occasions. Anyone may feel like being alone sometimes. Someone with Alzheimer’s might quit hobbies, social outings, sports or work activities. This could be because they’ve forgotten how to complete the hobby or because of other changes from the disease. Mood and personality changes. Anyone can get in a particular pattern and feel irritated when it is disrupted. People with Alzheimer’s can easily be upset at home or work, especially in situations where they don’t feel comfortable. They can become confused, suspicious, fearful, anxious or depressed. Perhaps your concern for your loved one isn’t about cognition at all. You may notice that Grandma prepared a delicious turkey, but she didn’t have the strength to carry it to the table. Maybe her house is dirtier than usual because her eyesight is failing, or she can’t physically sweep like she used to. There are a host of issues you may need to address while you are there or shortly afterward. Have a conversation with the older adult about what you notice. How does the older adult feel about it? Is Grandma adamant about aging in place, or is she feeling lonely and thinking it might be time for a move to assisted living? Would she like help doing certain tasks around the house, or with errands? Is it time to stop driving? If you decide to bring in home help, determine if the neighbor down the street would be a good fit, or if you should contact a professional caregiving service that screens and trains all of its employees. Do you simply need a cleaning service, or is your loved one ready for help with meals and shopping? What are her needs likely to be going forward, and is there someone, such as a family member or friend, who can help you assess them? Do you need to talk to her doctor to review medications and recommend changes in Grandma’s home so she can get around more easily? Homecoming is full of nostalgia. It can be hard to face the point when you realize that your loved ones need your help, especially when they might not be willing to admit it yet. Tread gently and seek their input, then consult with professionals if you need further guidance. Above all, accept the changes with a loving spirit and the most positive attitude you can muster for the challenges ahead. “10 Early Signs and Symptoms of Alzheimer's,” Alzheimer's Association. “Dementia - early signs,” Department of Health & Human Services, State Government of Victoria, Australia. “5 Signs of Elder Abuse,” Caring.com. Anyone can end up with their identity stolen, but there’s plenty you can do to help protect yourself from becoming a victim. When a company you trust fails to secure your data, you can feel helpless and unsure of how to help protect yourself. After all, credit rating agencies take your most vital information without your permission. Implicit in this siphoning of your identifying information is that companies will guard your details like gold bars. Then came the Equifax breach. One of the big three credit agencies, Equifax should have known better. More than 145 million people had their data stolen. The barn door was closed after the cows got loose. The only thing that matters now: What can you do to help protect yourself? First, use the tool Equifax created to check if you were affected by the breach. You’ll have to put in your last name and the last six digits of your Social Security number. If they say your information was stolen, it’s time to act. Even if you’re supposedly safe, following the tips below can help protect you from the next attack, although no one is completely impervious to data thieves. Senior Spirit checked in with Mary Trapani, who became an identity theft expert after she and her husband endured years of difficulty after their own identities were stolen in April 2000. It turns out that identity theft is common. A 2016 survey estimated 41 million Americans have had their identity stolen, making it imperative to put safeguards in place. The following tips come from Mary’s blog, where she posts advice for consumers. Change every password. Look below for tips from Mary on how to develop a quick system that makes all your passwords easier to formulate and remember. There are also tips from the experts at wired.com on making your passwords as strong as possible. Mary’s harrowing experience with ID theft led her to endorse IDShield. She offers information about the service at www.SoonerOrLater.biz. The service costs about $10 monthly for one person, or $20 for a family. IDShield claims to be unique in having private investigators on staff. The company says it monitors every scrap of data with your name on it. “In the event of a compromise, your personal IDShield licensed private investigator will work to uncover evidence, restore your identity and clear your record back to its pre-theft status,” according to the website. Protect your computer and other devices with appropriate software. Only visit websites that are safe. Your personal malware may have an option to only allow sites it deems safe. An easy guide is to check the URL: If a site starts with “https” instead of “http,” your data is secure. Never give out your personal information over the phone or online, unless you initiated the contact. Do not open suspicious emails, even on your phone. Never click on links or attachments in them, even when they make tempting offers. Even hitting “unsubscribe” could land you in trouble. Send them to spam. Buy a basic shredder and use it for every document with your name on it. Finally, Mary reminds us there are some things we all should be doing as a matter of course. Review your credit reports. This has gotten a lot easier with credit scores available from many banks, credit card issuers and money management services such as Mint. You can still get a free report straight from Equifax, Transunion and Experian once a year by requesting it. Check credit card and bank statements every month for fees that look odd. It could be a small charge that appears every month, money going overseas or a charge to a company you’ve never heard of. Check your Social Security Earnings and Benefits Statement yearly to make sure no one else is collecting benefits using your number. Mary knows from experience that if that happens, you may need a lawyer. Even with professional help, it is still a lot of work to undo. Protect your Social Security number from being used fraudulently on a tax return. Get an IP PIN that you or your tax preparer will use on your tax return. Note that once you use it, you must continue to use it every time you file. You can benefit from Mary’s way to create and remember usernames and passwords. We’ve summarized the information from her blog on the topic. Mary labels it “Nom de Persona,” which involves using the name and information of a figure other than yourself, whether real or fictional. It might be a public figure or someone from a movie. It’s quite handy if the person appears in Wikipedia, since you can use their middle name, mother’s maiden name, birth date, names of pets, favorite food … virtually anything to create usernames and passwords. One of the beauties of this scheme is that you can keep track of usernames and passwords in an Excel spreadsheet. Just remember that you don’t want to put, say, GeorgeWashington Martha1789CherryTree. Instead, you’d put FirstnameLastname Wifefirstname Yearelected FamousActivity. That way, if the Excel csheet is accessed, the thieves will still be in the dark. Mary further suggests not labeling columns “Username” and “Password,” and only hinting at the website they unlock. Then they are safe enough to keep on a piece of paper in your purse or wallet. Oh, and if everyone knows you are a huge fan of Paul McCartney, go with someone like Ozzy Osbourne or Big Bird. The computer geeks at WIRED contacted their favorite pros and came up with some great tips for password security. Some of them go against everything we thought we knew. These quick changes are simple enough for anyone to do (unlike the 39 steps one site suggested). Knock off your most sensitive sites first, maybe one a day. In a week or a month, you can pat yourself on the back for a job well done! Nowadays, you know how vulnerable your information is on the internet. It’s just not enough to have the best passwords out there, especially for financial accounts, your email or anywhere else you access sensitive data. Enter two-factor authentication. It’s a simple feature that demands more information than just your password. It requires both something you know, such as a password, and something you have, like your phone. You enter your username and password as usual, and then it will ask for a code sent to your phone. The site denies account access until you enter the code. This is considerably more secure than a password alone, but not every site is enabled for two-factor authentication. Click here for a list of the most popular sites that offer two-factor authentication and how to set it up. “A longer password is usually better than a more random password,” says Mark Burnett, author of Perfect Passwords, “as long as the password is at least 12-15 characters long.” Mark says adding two letters to a password is the equivalent of mixing it up with alphanumeric nonsense. So you can forget the password that looks like you let a monkey loose on the top keys and just add two simple letters instead. Looking at you, “11111111111.” Longer is better, but not if you only use a couple of characters. “We have seen an effort by many people to be more secure by adding characters to passwords, but if these longer passwords are based on simple patterns they will put you in just as much risk of having your identity stolen by hackers,” says Morgan Slain, CEO of SplashData, a password management company that puts out an annual list of worst passwords. That’s right, quit bunching them up at the end like an afterthought, even if they were. Snuggle those pound signs and percent symbols right up next to letters and numbers somewhere in the middle of your password. Dang, that new password is a good one. It’s so perfect, so crack-proof that you decide to use it on more than one account. Bad idea! Bless the computer gods, the new decree is to stop changing your password every month or two. You never really changed them much anyway, did you? Most people put a “1” or a “2” at the end and called it good. Not! If you’ve committed to best practices, the bad guys are probably going to go elsewhere. "Ignore the stories about attackers doing billions of guesses and saying that the average password can be guessed in under a second: your bank is not going to allow an attacker to try 100 billion guesses," says Herley. "For your web passwords, you mostly have to worry about withstanding a few thousand guesses." Passwords are only one aspect of a coordinated defense. “Here's How Many Americans Have Been Victimized by Identity Theft,” Time.com. “Nom de Persona: An Ultimate Plan for Usernames and Passwords,” Mary Trapani. “A (New) Word or Two About the Equifax Breach,” Mary Trapani. “Equifax: Take It Seriously and Act Now,” Mary Trapani. “Part Four – An Identity Theft Victim’s Tale Part 4 of 4: Smooth Sailing,” Mary Trapani. “7 Password Experts on How to Lock Down Your Online Security,” Wired.com. “Here's Everywhere You Should Enable Two-Factor Authentication Right Now,” LifeHacker.com. “Should I Buy from This Site? How to Know if a Website is Secure,” DigiCert. Celebrating your age as you grow older has amazing benefits for yourself and the world. Ageism isn’t a problem or disease. Aging is life. In this inspiring TED talk, author and activist Ashton Applewhite offers compelling evidence that we are likely to be every bit as vital in our old age as our younger selves. She urges us to embrace our aging bodies, and dispels many of the fears of old age we carry with us throughout life. Did you know that happiness is statistically greater at childhood and in old age? Women in particular discriminate against themselves by trying to be younger, when their older self is not only just as good, but better in many ways. Unexpected ideas, as well as the tried-and-true, put smiles on caregivers and older adults during the holiday season. Are you one of those people who shudder involuntarily when you think about the holidays, wishing that you could embrace the joy of the season instead? Caregivers contemplate the extra demands on their limited time and wonder how they will fit in another thing when they are already juggling family, work, volunteer activities and a social life. Older adults may dread reminders of loved ones who are no longer here, the difficulty of going nonstop on family holiday outings, or trying to afford presents on a fixed income. It doesn’t have to be that way. Stress is often the result of unrealistic expectations that you can manage. Take a mental look at which specific issues cause you worry around the holidays, and write them down. Then peruse our comprehensive list of ideas for getting those issues under control, and jot down an action plan. We’ve included solutions for caregiver worries, as well as concerns that often crop up for older adults around this time of year. Just having a plan will make you feel better, but acting on it will put you back in control and on your way to a joyous holiday season. Give yourself permission to change your holiday routine. Just because you usually decorate a full-size fir with three boxes of ornaments, cook a complete holiday meal for 24 with all the fixings, and wrap every present for 59 extended family members doesn’t mean that you can’t let it all go. Maybe your tree will be two feet tall this year: still lovely, but decked out in a quarter of the time. Perhaps you’ll cook the main dish and go potluck for the rest of the meal. Amazon may supply your presents. Pick and choose what truly gives you joy, and what you can reasonably accomplish. Simplify meals. If you love making your grandmother’s favorite recipe but feel stressed at the thought of cooking the entire dinner, you have options. Potluck is the new normal at family gatherings, even if faraway relatives need to cook at your place or have something shipped in. Do you really need five side dishes and three desserts? If so, make some of them ahead and stick them in the freezer. Use Chinet paper plates with faux silver (plastic) utensils, and reserve the family china for serving pieces to cut down on clean-up. Set aside a quiet room. Ban the kids from one downstairs area that you or other adults can use for some R&R. Escaping to a quiet spot for a rejuvenating nap can make all the difference. Add a little aromatherapy to help make the mood relaxing. Lavender and citrus are a good mix to sprinkle on linens or in a saucer. Don’t do it all alone. When your teens whine that you didn’t get a tree this year, smile wanly and tell them how proud you are they are old enough to decorate one all by themselves if they’d like to get one. Hubby wants a full four-course meal? Remind him about the restaurant that is serving holiday meals and suggest a reservation. Or let him know his barbeque skills would come in handy this year and you’ll coach him on dessert. Communicate your needs early, and let everyone know their help is appreciated. Include older adults in your planning, with tasks that are appropriate to their ability. Mom may not be able to whip up her peach cobbler anymore, but if she stirs the crumble and pats the peaches into place, she’ll feel useful. Leave a few ornaments at eye level for her to put on the tree, or have her tie the ribbon on a Hanukkah gift or two. Skip the hassle of the holidays this year and take a trip instead. It’s a wonderful way to avoid the shopping, cooking and relatives (shhhhh!). Cruising is a classic way to travel with an older adult. Pack and unpack just once, stay onboard the whole time if you like, never cook and have activities available at all times. Remain in the United States with a river trip on American Cruise Lines that will take you down the Mississippi to stay warm over the holidays, or check out one of their themed cruises, such as Lewis and Clark, Nashville Country and Blues, or Food and Wine. Travel the world on a budget with Road Scholar, which specializes in educational trips at a minimal price. You can explore our border with Mexico at Big Bend, take one of 222 national park trips, or fly to Cuba for a history lesson and a cigar. Thousands of offerings guarantee something that will interest you both. How about a trip to Costa Rica with ElderTreks, the Canadian travel company that caters to the 50-and-over crowd with exotic adventures in small groups? They make all the arrangements and you have all the fun after choosing from destinations worldwide. Do all of these sound far too expensive for your budget? Consider booking with a major cruise line, which often lowers prices if ships aren’t full a couple of weeks before departure. Caribbean destinations are among the most affordable for Americans. If that’s still absurdly expensive, how about dinner and a stay at a posh hotel? Remain in town or take a short drive with Mom or Dad to enjoy a modern staycation together. Even one night away makes memories that last a lifetime. Allow older adults to stick to their schedule and dietary needs. If Dad normally has lunch at 11 and dinner at 4:30, try to keep it that way while he’s visiting. It’s difficult for older adults to adjust their bodies to a different timetable. Take note of any allergies Dad has, and ask if there are foods he can’t eat anymore. It could be that old favorites are no longer digestible, or perhaps even palatable. Dental issues might create a need for soft foods only. Talk to aging parents about dietary needs well in advance of holiday meals. Take time for yourself. Set aside half an hour a day to rejuvenate. Whether it’s taking a hot bath, sipping cocoa while reading a book, or lighting a candle and meditating, you need some “me” time. Prioritize it just like you would for a family member. In the long run, it will help you to do a better job as a caregiver over the holidays. Anticipate hot-button issues and work around them. Does Aunt Amy thrive on denigrating the political party that you support? Does your sister who lives out-of-state let you know that your caregiving is not up to par? You can take evasive action. Sit at the opposite end of the table, excuse yourself from the table, politely refuse to engage in certain conversations, start the dishes or take a long walk. Have an exit strategy planned, and act on it. Focus on the positive. Fear, sadness and worry can invade your thoughts during the holidays. This is perfectly normal. But you can control many of your thoughts with mindful awareness. Focus on what your loved one can do, rather than what they can’t. Delight in the activities you’ll do this year, rather than those you can’t participate in. Appreciate the smallest bit of help you receive, instead of resenting others who are not supportive. Remember to exercise. Whether you take a long walk outside, do jumping jacks while the cookies are baking or attend a Pilates session, exercise can boost your mood. Older adults who may not be steady on their feet or want to avoid snow and ice might enjoy making the rounds at your local mall, where holiday decorations can add to a festive mood. End the gift machine already. A lot of holiday stress centers around gift giving: what to buy and how to pay for it. Older adults on a fixed income have every right to opt out of the process. Or you might limit gifts to one per person with a low price cap. You could also give the gift of time, especially welcome to seniors, without the expectation of a monetary gift in return. Expect to receive pushback from other family members, but keep in mind that you are in control of what you give. Give to charity instead of individuals. Pick a charity as a family that everyone can donate to according to their resources. The benefits are many. The charity gets a nice chunk of change, no one is obligated to spend more than what is affordable, there is no awkward display of wealth or poverty since no one knows how much anyone else gave, and you can all feel a little better for supporting a common cause. If funds aren’t an issue, or family members prefer to support different institutions, then individuals can champion a personal favorite. Use a support system. Whether it’s calling an old friend, getting together with your sister, or having a private laugh with your mom in the kitchen, use your connections. That private laugh may turn into a long cry, but you need someone to share with who will be supportive. Counselors and therapists can be vital allies to keep your mental health strong when it may be tested most. Ask for help with your loved one. Caregiving responsibilities may overwhelm you at the holidays. It’s time to call on your family members to give you a break, dial a respite care center to give you some free time, or look for a paid caregiver. Many companies offer senior companions, or a neighborhood teen may be able to come over for a few hours and go through photographs with your loved one. Consider having a helper do some laundry, clean your house or run errands. Even if you normally don’t pay for help, hiring someone to assist you over the holidays can be well worth the sense of relief you’ll feel. Start a new tradition. Instead of focusing on what you’re not doing, make a new tradition. You could invite the neighbors over for dinner, watch a holiday movie together or take your loved one on a drive to see the lights. Money isn’t the object; instead, spend time together. Enjoy some holiday music, light a holly berry candle or read a holiday book aloud to a parent or grandchildren. Have a long FaceTime or Skype chat with a loved one. Do something for others. Nothing puts us in the holiday spirit like helping others in need. Call a soup kitchen or food bank to donate your time or that of your whole family. Shop for a local child through Toys for Tots, donate to the Salvation Army or support a faith-based charity. Find an organization that needs your help with disaster relief, become a volunteer at the local animal shelter or offer to help out in your school system. Check here for tips on how to avoid charity scam artists. Take time to listen. It’s easy to skip over loved ones’ needs during this busy time of year. Depression and melancholy may make them quiet and easy to ignore with all the hustle and bustle, but they may need you more than ever. Ask them about childhood holidays, and don’t end the conversation if they get sad or angry. Your empathy is vital. Help older adults connect with their friends. Holiday cards diminish as time goes on, and seniors can feel sad and alone. The cards they do receive may bring news of illness or death. Help your loved one write cards or make calls to stay in touch with old friends and faraway family members. Thank older adults for what they’ve done for you. Take advantage of the holiday opportunity to thank your parent for teaching you how to cook, how to forgive or how to love. Tell them what a difference it’s made in your life. Acknowledge the sacrifices that person made for you. Look for ways to be grateful. A side benefit of gratitude is that it makes you happier. Connect your parent with children. A local school holiday concert, an outing to the mall or a trip to story time at the library can lift a senior’s spirits. If your parent is in a home for seniors, see if their program director can find children to visit. Perhaps a local 4-H Club could bring in small animals for residents to pet, or a class of children could visit and write about the story they hear a senior tell. If your parent has grandchildren in the area, take your mom or dad to see the child’s choir concert or holiday production. Decorate your parent’s room for the holidays. But not all at once. Bringing an ornament one day and a gift or treat on another stretches out the anticipation and surprise. Consider putting up a small tree or electric menorah in your parent’s room, or hanging a wreath on their door for other residents to see. Throw a party in the residential facility. Distribute invitations to your loved one’s friends, and bring some traditional goodies for them to enjoy together. Use a small conference room or other space with plenty of seating. Do not set a goal of perfection. So the turkey is burned. You’ll never forget the holiday you had to eat peanut butter sandwiches … but it will be a wonderful memory if everyone can laugh and talk about another dinner that didn’t go as planned. Approach “disasters” as opportunities to forgive (even if it’s yourself), laugh, and be grateful for what you have, and this really will be your best holiday ever. 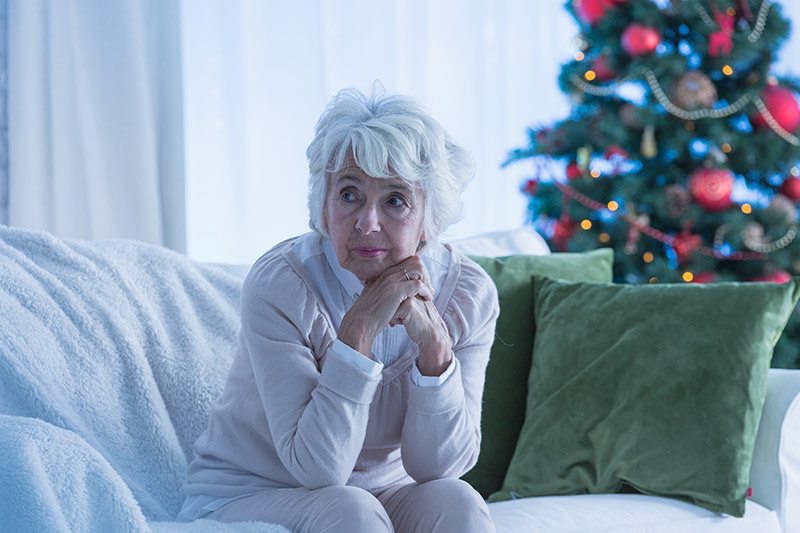 “Tips to Ease Holiday Stress for Caregivers,” Huffington Post. “10 Tips for Caregivers During the Holidays,” AARP. 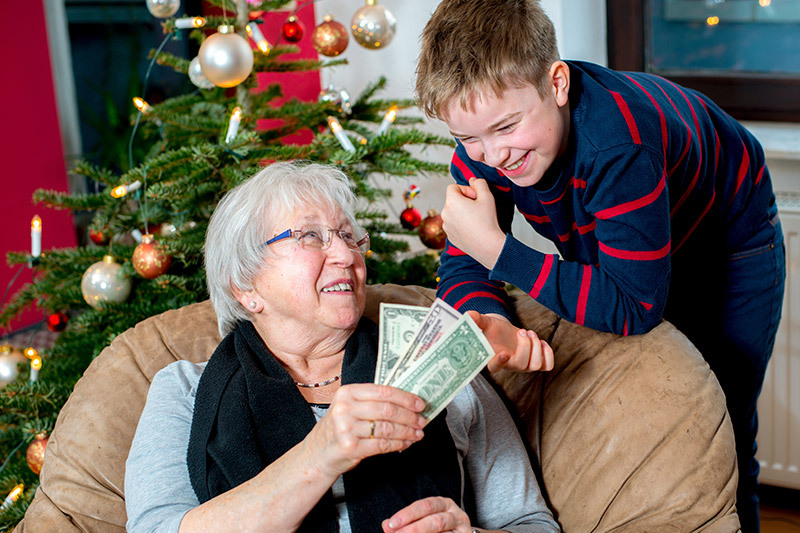 “5 Tips for helping seniors manage holiday stress,” sheknows.com. “Reducing Loneliness in Elders around the Holidays,” agingcare.com. “Help Seniors Overcome Holiday Stress: 4 Tips,” caregiverstress.com. “Holiday Health for Seniors,” care.com. You may have seen Larry Fink during an appearance on CNBC, where he is regularly consulted about the stock market. But you may not know that Fink co-founded BlackRock, the largest money-management firm in the world. As of 2016, the company had $5 trillion under management, with 12,000 employees at work in 27 countries. Fink had fairly humble beginnings in Van Nuys, California, where his father owned a shoe store and his mother was a professor of English. Their son earned a BA in political science from UCLA in 1974, and went on to get an MBA at the school’s Anderson Graduate School of Management two years later. Even though he lacked a finance degree, Fink’s first real job was at First Boston, an investment bank. He soon took charge of the bond department, and was key in the creation and development of the now infamous mortgage-backed security market. Fink became a managing director at First Boston, and headed the Mortgage and Real Estate Products Group. All that work paid off as he added $1 billion to the bank’s bottom line. Fink was a golden boy until 1986, when he incorrectly predicted the direction of interest rates and his department lost $100 million. That experience dictated his decision to incorporate risk management into his own investment company in 1988, when he became a director and CEO at the newly-founded BlackRock. The company went public in 1999. 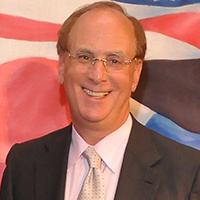 In 2003, Fink assisted in negotiating the resignation of New York Stock Exchange CEO Richard Grasso, who was widely castigated for taking a $190 million pay package. The U.S. government contracted with BlackRock after the 2008 financial meltdown to help clean up the mess. A lifelong democrat, Fink’s civic involvement includes stints as a trustee of the Boys and Girl’s Club of New York and a board seat on the Robin Hood Foundation. Fink is married, and the couple’s oldest son, Joshua, is CEO of hedge fund Enso Capital. Barr is a household name after starring on the hit television sitcom Roseanne from 1988 to 1997. She won an Emmy and a Golden Globe Award for Best Actress for her work on the series, where she played a “fierce, working-class domestic goddess” character that mimicked her real life. Barr said she wanted to portray a strong mother who wasn’t a victim of what she labeled “patriarchal consumerism”. A revival of the show is slated to air in 2018. Born in Salt Lake City, UT, Barr is the granddaughter of Jewish immigrants from Europe and Russia and the oldest of four children. She grew up in both the Jewish faith and The Church of Jesus Christ of Latter-day Saints. At the age of 18, she told her parents she was going to Colorado for two weeks and never returned home. Instead, she began doing stand-up comedy at clubs. 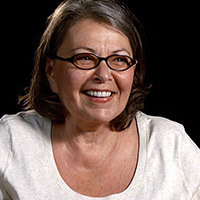 When her sitcom ended, Barr debuted her own talk show, The Roseanne Show, from 1998 to 2000. Five years later, she returned to stand-up with a world tour. Barr has three children by her first husband, Bill Pentland, to whom she was married from 1974 to 1990. Her marriage to costar Tom Arnold lasted four years, from 1990 to 1994. The star gained unwanted notoriety in 1990 with an off-key performance of The Star-Spangled Banner during a 1990 baseball game, followed by grabbing her crotch and spitting. Barr claims she had been told to incorporate humor into the song, but fans were outraged. Early in 2012, Barr announced that she was running as a candidate for the Green Party, later losing to Jill Stein. Barr then won as candidate for the Peace and Freedom Party, and got 61,971 votes in the general election, putting her in sixth place. A macadamia nut farm in Hawaii serves as Barr’s current home. An unscripted show that featured her life there, titled Roseanne’s Nuts, ran for three months in 2011. The tall redhead was a common sight on national television during the 1970’s and 80’s, playing for the National Basketball Association’s Portland Trail Blazers, San Diego Clippers, and Boston Celtics. It was his last team that Bill Walton identifies with most, evidenced by a prominent photo of the court in Madison Square Garden hanging in his home office. Walton won three consecutive College Player of the Year Awards as a UCLA Bruin under iconic coach John Wooden in the early 1970s. The Bruins won two Division I national titles during Walton’s tenure. Winner of a league Most Valuable Player award and two NBA championships, Walton was a star player in the NBA, despite having his career hampered by multiple foot injuries. In 1993, Walton was inducted into both the Naismith Memorial Basketball Hall of Fame and the Oregon Sports Hall of Fame. While Walton’s height was always listed as 6 feet 11 inches, it’s rumored that he actually tops 7 feet 2 inches, but hates being categorized as more than 7 feet tall. Walton’s talent was recognized early on. At 17, he played for the U.S. men’s national basketball team at the 1970 FIBA World Championship. 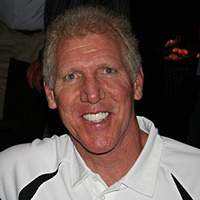 Walton became a sportscaster after his career as a player was over. He’s also a prominent fan of the Grateful Dead and made the trip to Egypt for the band’s famous 1978 performance at the Pyramids, even joining the band on drums. Petraeus may be best known for his stint as director of the Central Intelligence Agency from September of 2011 to his resignation in November of 2012. Petraeus served 37 years in the United States Army, rising to the rank of four-star General and Commander of the International Security Assistance Force and U.S. Forces Afghanistan from July 2010 to the same month a year later. Petraeus also oversaw all coalition forces in Iraq from October 2008 to February 2010. Petraeus garnered unwanted notoriety from an extramarital affair with his biographer, Paula Broadwell, while serving as Director of the CIA, from which he resigned on November 9, 2012. It was revealed in 2015 that FBI and Justice Department prosecutors had recommended felony charges against Petraeus for allegedly passing classified information to Broadwell during their relationship. However, he was eventually able to plead guilty to one charge of misdemeanor mishandling of classified information. The general got a top-notch start at the United States Military Academy, graduating in the top 5 percent of his class in 1974. He then won the General George C. Marshall Award as the top graduate of the U.S. Army Command and General Staff College class of 1983. Petraeus went on to earn both an M.P.A. (in 1985) and a 1987 Ph. D. in international relations from the Woodrow Wilson School of Public and International Affairs at Princeton University. 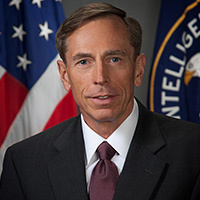 Petraeus remains popular with many voters, although he has repeatedly said he has no plans to run for elected office. You may not recognize his face, but you’ve almost certainly heard Daryl Stuermer on guitar and bass. He’s the artist who does live shows as a member of Genesis, and lead guitar for Phil Collins on solo tours and albums. Stuermer was born in Milwaukee, WI. He was “discovered” playing with his old band Sweetbottom, when he won a spot as back-up musician for jazz violinist Jean-Luc Ponty in 1975. They wound up performing together on four albums before Stuermer was recommended as a replacement for Steve Hackett during live performances of Genesis. 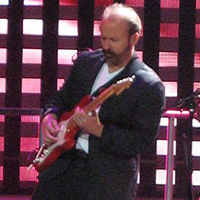 From 1977 to 1992, Stuermer toured with the band as lead guitarist and bass player, and he rejoined them in 2007 for their Turn It On Again Tour. The year 1979 found Stuermer in the U.S. and Canada with Gino Vannelli promoting the Brother to Brother album. In 1982, Stuermer left Genesis to perform with the band’s frontman, Phil Collins, who began a solo career. When the guitarist got a mention in the music video for “Don’t Lose My Number,” he went from a "permanent-temporary-part-time member" of Genesis to a "permanent-touring-recording member" of Collins' new group. The change brought out new talents in Stuermer, who garnered credit for co-writing several of Collins’ songs. If you want to hear material from Stuermer’s early years, seek out the 2007 album Go!. It features many of Sweetbottom’s old tracks. Currently, Stuermer is working on an album that recreates classic Genesis songs mixed with solo instrumentals.